If you want to get fit and shed those pounds, you know exercise comes into play. However, there is no point in doing a haphazard routine that will only make you feel tired but not have any effect. 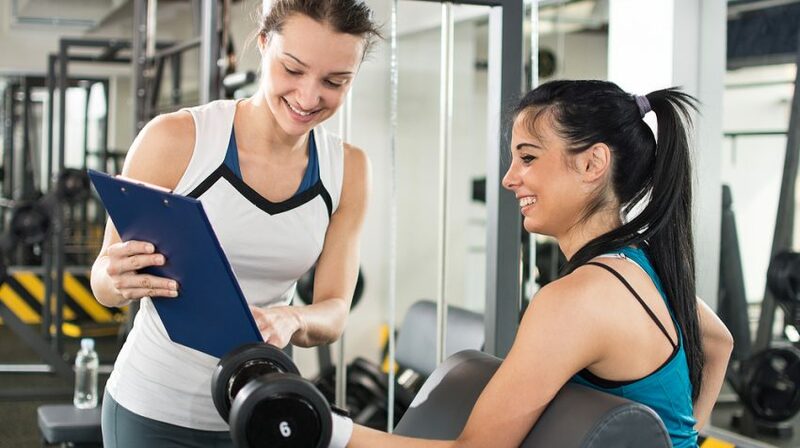 To lose weight a personal trainer will help you focus on specific types of exercises. Studies indicate that if you add brief periods of intense training to your regular exercise routine you can elevate metabolism post exercise for up to 24 hours. Whether it is running, swimming or bicycling sessions this intensity will reset the metabolism at a higher rate at your next workout. This means you will continue to burn calories post exercise, and even after you’ve toweled off. If you like to walk, and you typically walk 30 minutes, add a burst of jogging every 5 minutes, for 30 seconds. To gain a boost in metabolism, you need to be breathing hard at the end of the exercise. If you want your body to burn up all the calories before they turn into fat, you need bigger muscles. Strength training will make your muscle bigger which means they require more calories. Strength training will help you target all the right muscle groups. If you incorporate this type of training a few times a week your muscles will start to burn up all those extra calories before fat begins to deposit in them. For high result weight loss swimming is one of the most effective exercise routines. It will effortlessly burn those calories and you won’t even break into a sweat. With so many swimming strokes it will be similar to an aerobic exercise. There are ample benefits of swimming which include improving muscle strength and definition, building up bone mass, reducing inflammation, lowering stress and helping improve asthma. Yes running is good, but what about adding a twist to all that running and just running up and down the stairs. It is an effective way of staying lean and burning all those calories. Since it is a cardio exercise the benefits are similar which means your lungs and heart will strengthen and you will lose the excess fat. Kickboxing is not only an awesome activity to lose weight but also increase fitness and learn self defense. You engage your whole body through kickboxing, focusing on your arm, shoulders, legs and glutes. It also increases stamina and gives you a fantastic cardio workout.